Astro-Vision is the pioneer in Astrology Software development and Astro-Vision Lifesign is used by more than 10,000 astrology centres, business centres, Internet centres, STD /PCO booths, Xerox centres, Marriage bureaus, astrology classes, and astrologers all over the world. Our clients use our Astrology software to offer computerised astrology services on a commercial basis. Our vast clientele bears testimony to the fact that Astro-Vision LifeSign is the best astrology software available. Astro-Vision Lifesign Sinhala Astrology Software offers all the horoscope calculations and predictions that you need to run your Astrology Centre. This Astrology software is based on the Indian system of predictive astrology. 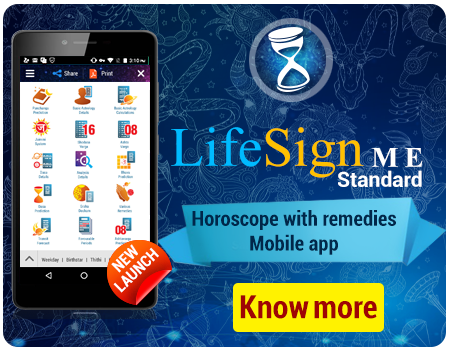 With the help of Astro-Vision LifeSign Sinhala Astrology Software, you can start earning income from day one by providing detailed horoscope predictions in various languages to your customers. If you already own a home based business or a DTP centre or an internet Cafe or PCO booth, Astro-Vision LifeSign Sinhala Astrology Software provides an ideal way to increase income by providing horoscope services to your existing customers. You can customise the Horoscope reports in order to create different kinds of horoscope reports, such as a single page horoscope report, horoscope report containing charts and calculations only, horoscope report containing detailed predictions, etc. 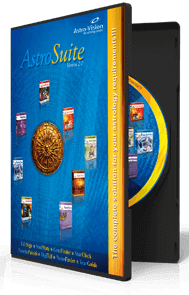 Several templates are also available as a ready reference in Astro-Vision Lifesign Sinhala Astrology Software. This will help you deliver different types of horoscope reports at various price points to your customers. 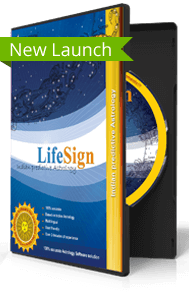 Astro-Vision Software Lifesign Sinhala Astrology Software is available in a bundle containing both Sinhala and English language reports. Various chart formats are available, i.e.Sri Lankan,South Indian and Kerala chart styles. This ensures that you can generate horoscope reports from our Astro-Vision Software according to the individual requirement of your customers. Astro-Vision Software Lifesign Sinhala Astrology Software includes a large database of cities from all over the world. Thus time consuming entry of latitude, longitude and time zone is avoided. Additional cities can also be added, making the list of cities fully customisable and making the task of preparing a computer horoscope easier. Astro-Vision LifeSign Sinhala Horoscope Software gives detailed Bhava predictions based on the influence of planets on your character and life. Astro-Vision LifeSign Sinhala Horoscope Software gives detailed predictions based on the effect of the Dasa and Apahara starting from the current dasa onwards. Predictions for apahara (bhukti) are given for twenty five years. The starting and ending of each apahara is also shown. (The initial five years are skipped for infants.) While analysing the effect of the Dasa and Apahara, the strength of planets is judged by their positions in Sapta Varga. Astro-Vision Lifesign Sinhala Horoscope Software provides a transit prediction based on the comparison of the present position of planets with those in the birth chart. This is used to predict the immediate future. The important combinations which result in a yoga are identified in the hadahana and are listed with a brief mention of the effect it can have. While listing the Yogas, the combinations which results in the yoga are also given for easy reference. All the charts, calculations and analysis provided in this LifeSign Sinhala Horoscope Software are based on Vedic Astrology. The nirayana longitude of the planets, the rasi, the longitude in the rasi, the Nakatha as well as Nakatha pada is calculated. The Star, star lord, sub lord as well as sub sub lord is calculated for each planet. The dasa as well as dasa balance at birth is also provide along with the rasi chart and Nawansaka chart. Astro-Vision LifeSign Sinhala Horoscope Software also provides the bhava chart as well as the bhawa table. Various charts are prepared after making the necessary calculations such as the Rasi chart, Hora chart, Upagraha Chart ,Drekkana chart, Chaturthamsa chart, Saptamsa chart, Nawansaka chart, Dasamsa chart, Dwadasamsa chart, Shodasamsa chart, Vimsamsa chart, Chatur Vimsamsa chart, Bhamsa chart, Trimsamsa chart, Khavedamsa chart, Akshavedamsa chart, Shashtiamsa chart, Ashtakavarga Charts and Tables. Details of the Paryanthardasa within each Bhukti (Apahara) is given. Analysis of planetary disposition, planetary analysis, planetary friendship analysis, planetary strengths, Kuja Dosha Check, Check for Moudhyam (combustion), Planetary war, Grahavastha are also provided. ඇස්ට්රො-විෂන් ජ්යොතිෂ්ය මෘදුකාංග නිෂ්පාදනයේ ප්රමුඛයා වන අතර ඇස්ට්රො-විෂන් ලයිෆ්සයින්, 10000කට වැඩි ජ්යොතිෂ්ය මධ්යස්ථාන, ව්යාපාරික මධ්යස්ථාන, අන්තර්ජාල මධ්යස්ථාන, STD /PCO ස්ථාන, Xerox ස්ථාන විවාහ ආයතන, ජ්යොතිෂ්යය පංති සහ ජ්යෝතිෂඥයන් විසින් භාවිතා කරයි. අපගේ පාරිභෝගිකයන් අපගේ ජ්යෝතිෂ්ය මෘදුකාංගය, මූල්යමය පදනමෙන් පරිගණකගත ජ්යෝතිෂ්ය සේවා සැපයීමට භාවිතා කරයි. අපගේ පැතිරුණු පාරිභෝගික ජාලය ඇස්ට්රො-විෂන් ලයිෆ්සයින් යනු දැනට පවතින හොඳම ජ්යොතිෂ්ය මෘදුකාංගය බවට සාක්ෂි දරයි. ඇස්ට්රො-විෂන් ලයිෆ්සයින් සිංහල ජ්යෝතිෂ්ය මෘදුකාංගය ඔබගේ ජ්යොතිෂ්ය ආයතනය පවත්වාගෙන යාම සඳහා අවශ්ය සියලුම ජන්මපත්ර ගණනය කිරීම් සපයයි. මෙම ජ්යොතිෂ්ය මෘදුකාංගය ඉන්දියානු නක්ෂත්ර ජ්යෙතිෂ්ය පද්ධතිය මත පදනම් වී ඇත. ඇස්ට්රො-විෂන් ලයිෆ්සයින් සිංහල ජ්යොතිෂ්ය මෘදුකාංගයේ සහයෙන් පළමු දිනයේ සිටම විවිධ භාෂාවලින් ඔබගේ ගනුදෙනුකරුවන්ට විස්තරාත්මක ජන්මපත්ර අනාවැකි සැපයීමෙන් ඔබට ආදායම් ඉපයිය හැක. ඔබට දැනටමත් ගෘහාශ්රිත ව්යාපාරයක් හෝ DTP ආයතනයක් හෝ අන්තර්ජාල මධ්යස්ථානයක් හෝ PCO ස්ථානයක් ඇත්නම් ඇස්ට්රො-විෂන් ලයිෆ්සයින් සිංහල ජ්යොතිෂ්ය මෘදුකාංගය ඔබේ වත්මන් ගනුදෙනුකරුවන්ටම ජ්යෝතිෂ්ය සේවා සැපයීමෙන් ඔබේ ආදායම වැඩිකරගැනීමේ කදිම ආදායම් මාර්ගයක් සපයයි. සිංහල ජන්මපත්ර මෘදුකාංගය මගින්, තනි-පිටුවේ ජන්මපත්ර වාර්තාවක්, වගු සහ ගණනය කිරීම් සහිත ජන්මපත්ර වාර්තාවක් අනාවැකි සහිත ජන්මපත්රවාර්තාවක් ලෙස අවශ්ය පරිදි සකසා ගත හැකි ජන්මපත්ර සැකසීමේ විකල්පයන් ලබා දෙයි. ඇස්ට්රො-විෂන් ලයිෆ්සයින් සිංහල ජ්යොතිෂ්ය මෘදුකාංගය තුළින් ලබා ගත හැකි ආකෘති වුව ද ඔබට තෝරා ගැනීමේ හැකියාව පවතී. මෙමගින් ඔබට විවිධ මිල ගණන් යටතේ ඔබේ ගනුදෙනුකරුවන්ට ජන්මපත්ර වාර්තා ලබාදිය හැක. ඇස්ට්රො-විෂන් ලයිෆ්සයින් සිංහල ජ්යොතිෂ්ය මෘදුකාංගය සිංහල හා ඉංග්රීසි වාර්තා ද්විත්වයම ඇතුලත් කට්ටලයක් ලෙස මිලදී ගත හැක. විවිධ සටහන් ක්රම ඇත. උදා. ශ්රි ලංකීය, දකුණු ඉන්දීය සහ කේරළ සටන් රටා. මෙමගින් ගනුදෙනුකරුගේ අනන්ය වූ අවශ්යතාවයට සරිලන අයුරින් ජන්මපත්ර වාර්තා ඇස්ට්රො-විෂන් මෘදුකාංගය මගින් සැකසිය හැකිවේ. ලොව වටා නගර විශාල සංඛ්යාවක් සහිත දත්ත සංචිතයක් ඇස්ට්රො-විෂන් ලයිෆ්සයින් සිංහල ජ්යොතිෂ්ය මෘදුකාංගය සතු ය. එනිසා සෑම අවස්ථාවකදීම අක්ෂාංශ දේශාංශ සහ වේලා කලාප ඇතුළත් කිරීම අවශ්ය නොවේ. එමෙන්ම නව නගර ඇතුළත් කිරීමටද හැකිය. පූර්ණ ලෙස තමාට අවශ්ය පරිදි සකසා ගත හැකි නගර ලැයිස්තුද පූර්ණ ජන්මපත්ර සැකසීමද පහසුවේ. චිත්රපක්ෂ ආයනම්ස, ලහිරි ආයනම්ස, රාමන් ආයනම්ස, ක්රිෂ්ණමූර්ති ආයනම්ස හා තිරුකනිදම් ආයනම්ස වැනි විවිධ ආයනම්ස සැකසුම් ඇතුළත් වේ. ඇස්ට්රො-විෂන් ලයිෆ්සයින් සිංහල ජන්මපත්ර මෘදුකාංගය ඹබගේ චරිතය හා ජීවිතය මත ග්රහතාරකාවල බලපෑම පිළිබඳ විස්තරාත්මක භව අනාවැකි ලබාදේ. ඇස්ට්රො-විෂන් ලයිෆ්සයින් සිංහල ජන්මපත්ර මෘදුකාංගය මගින් දස සහ අපහාර පිළිබඳ විස්තර ලබාදේ. අපහාර (භුක්ති) සඳහා වසර 25කට අනාවැකි සැපයේ. අරම්භය සහ අවසානයද පෙන්වයි (කුඩා දරුවන් සඳහා පළමු වසර 5 අතහරියි). දස හා අපහාර පිළිබඳ විශ්ලේෂණයෙන් ග්රහයන්ගේ ශක්තියද, ඹවුන්ගේ සප්ත වර්ග පිහිටීම මත ලබාගනී. ඇස්ට්රො-විෂන් ලයිෆ්සයින් සිංහල ජන්මපත්ර මෘදුකාංගය ග්රහයන්ගේ වර්තමාන පිහිටීම හා උපතේදී පිහිටීම මත පදනම්ව සංක්රාන්ති අනාවැකි සපයයි. මෙමගින් නුදුරු අනාගතය පිළිබඳ අනාවැකි පවසයි. රාශි සටහන්, හෝර සටහන්, උපග්රහ සටහන්, ද්රෙක්කන සටහන්, චතුර්තම්ස සටහන්, සප්තම්ස සටහන්, නවංසක දසම්ස සටහන්, ද්වදසම්ස සටහන්, ශෝදසම්ස සටහන්, විම්සම්ස සටහන්, චතුර්විම්සම්ස සටහන්, භම්ස සටහන්, ත්රිම්සම්ස සටහන්, කාවේදම්ස සටහන්, අක්ෂවේදම්ස සටහන්, ෂශ්ටියම්ස සටහන්, අෂ්ටකවර්ග සටහන්, හා වගු වැනි විවිධ සටහන් අවශ්ය ගණනය කිරීම් වලින් පසු සකසනු ලැබේ. විම්ශෝත්ථරී දස කාලසීමාවන් වල කෙටි සාරාංශයක් ලබා දෙනු ලැබේ. දස සහ භුක්ති (අපහාර) කාලයන් පිළිබඳ විස්තර ලබා දෙනු ලැබේ. එක් එක් භුක්ති (අපහාර) තුළ පර්යන්තර්දස පිළිබඳ විස්තර ලබා දෙනු ලැබේ. ග්රහතාරකාවල චරිත ස්වභාවය පිළිබඳ විශ්ලේෂණය, ග්රහතාරකා පිළිබඳ විශ්ලේෂණය, ග්රහතාරකාවල මිත්රත්වය පිළිබඳ විශ්ලේෂණය, ග්රහතාරකාවල ශක්තිය කුජ දෝෂ පරීක්ෂාව, මෞද්යම් (දහනය) පරීක්ෂාව, ග්රහතාරකා යුද්ධය, ග්රහවස්තු ආදියද අඩංගුවේ.